It's bad enough that Mom and Dad are going on a trip without Judy and Stink and leaving them in the care of Aunt Awful (er, Opal). Now two of Judy's friends are going Splitsville, too! Just when it looks like her summer is going to be the boringest, snoringest ever, Judy concocts a THRILL-a-delic plan. Judy Moody and Frank Pearl dive headlong into nonstop action in pursuit of the Judy Moodiest summer ever! 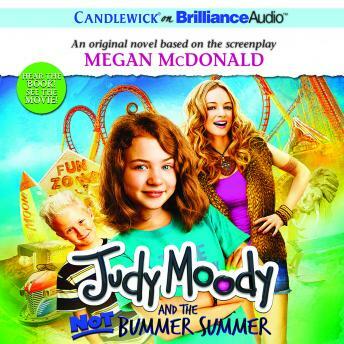 Adapted from the feature film produced by Smokewood Entertainment and directed by John Schultz, and based on a screenplay by Megan McDonald and Kathy Waugh, Judy Moody and the NOT Bummer Summer will take listeners on a totally awesome adventure - RARE!